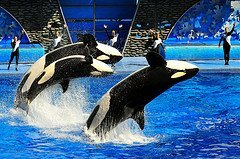 Many people search for inclusive cruises from Orlando, when in fact they are looking for cruises that leave from Port Canaveral. Yes, the cruises that sail from the Orlando area actually leave from Port Canaveral, which is near Orlando - about fifty (50) miles away. One needs to travel east of the popular vacation city - Orlando - to get to the cruise terminals of Port Canaveral. Anyway, whether you are searching for cruises from the Orlando area or Port Canaveral, you will be happy with your options. It goes without saying that the Orlando area is a very popular tourist area. It is the home of world-famous attractions like Disney World, Universal Studios and The Holy Land Experience. It is therefore little surprise that the four of the top Caribbean cruise lines, Carnival Cruise Line, Disney Cruise Line, Norwegian Cruise Line and Royal Caribbean International offer inclusive cruises from Orlando or Port Canaveral. 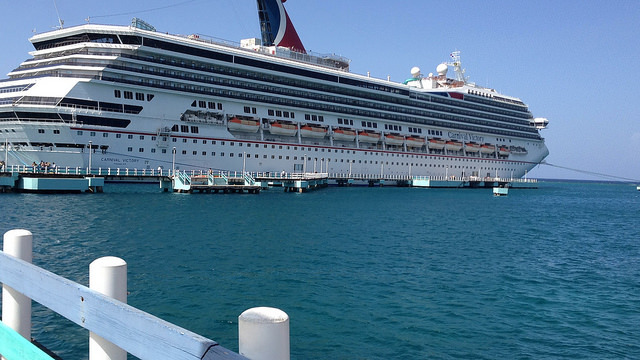 These 4 popular cruise lines offer some cruise itineraries year-round from Port Canaveral. 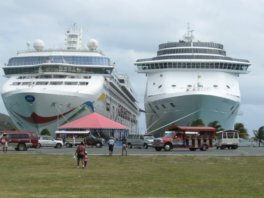 Whether you want to escape the cold of winter to the warmth of the tropics or you have to wait for summer when the kids are out of school, you will find an inclusive Caribbean cruise sailing from Port Canaveral. And, the itineraries vary from 3-day to 20-day sailings. Carnival lovers, you will be thrilled to know that Carnival Cruise Line offers 3-day to 8-day inclusive cruises from Port Canaveral. Carnival currently has five of its popular Fun Ships: Carnival Breeze, Carnival Elation, Carnival Liberty, Carnival Magic and Carnival Sunshine fulfilling cruise offers from Port Canaveral to popular Caribbean ports of call. Did someone say, "I want to try an inclusive cruise to Nassau, Bahamas?" How about the U.S. Virgin Islands? I am sure I heard someone say, "Mexico cruises, please!" Search for Carnival cruises from Orlando (Port Canaveral). Similarly to Carnival, Disney Cruise Line offers several inclusive cruises from Port Canaveral. There are sailings to the Bahamas, as well as to the Eastern and Western Caribbean itinerary. Disney cruises from Orlando are served by three ships: Disney Dream, Disney Fantasy and Disney Magic. Disney Cruise Line currently offers from 3-day to 7-day cruises from Port Canaveral. Search for Disney cruises from Orlando (Port Canaveral). Norwegian Cruise Line also offers limited cruises from Port Canaveral. In fact, this cruise line has two ships, Norwegian Epic and Norwegian Sun, with itineraries from Orlando. Norwegian Sun offers shorter 3- to 5-day cruises from Orlando to the Bahamas. Norwegian Epic offers longer itineraries to the Eastern and Western Caribbean - up to a limited number of 15-day long cruises. 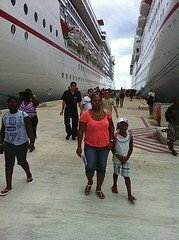 Ports of call include Costa Maya, Mexico; Grand Cayman, Cayman Islands; Ocho Rios, Jamaica; and St. Thomas, USVI. Royal Caribbean also offers popular inclusive cruises from the Orlando area or Port Canaveral. Royal currently has year-round 3-day and 4-day cruises from Orlando to the Bahamas. There are also 7-day cruises to the Eastern and Western Caribbean during several months of the year. Royal Caribbean provides four popular ships to fulfill its Port Canaveral offerings: Enchantment of the Seas, Harmony of the Seas, Mariner of the Seas and Oasis of the Seas. Enchantment of the Seas and Mariner of the Seas offer 3-day and 4-day cruises to the Bahamas. Harmony of the Seas and Oasis of the Seas offer longer cruises from Orlando to the Eastern and Western Caribbean. Search for Royal Caribbean cruises from Orlando (Port Canaveral). Note: All itineraries listed above are subject to change at anytime, as cruise lines re-position their ships at will. Booking a cruise ship vacation from Orlando is easy. Finally, you may call the cruise line directly to book Orlando cruises. Now that you know what is available, let us help you with some additional information. First off, if you can drive to the cruise port, I encourage you to do so. 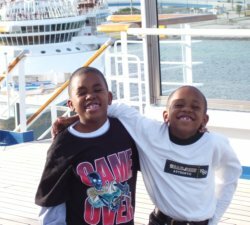 My family lives in McDonough, GA, 400 plus miles from Orlando, and we drive to Port Canaveral, or to Tampa, or even Miami, each time we take an inclusive family cruise. It saves you money, if you can drive. However, if you must fly to your inclusive cruise from the Orlando area, you have two choices in airports: Orlando International Airport (MCO), or Melbourne International Airport (MLB). The latter (Melbourne) is nearer to the cruise terminal, so you should plan to fly into Melbourne. However, Orlando is a bigger and more popular airport than Melbourne, so you will find more flights, and cheaper airfares, if you choose Orlando. Plan carefully and choose wisely. You may search TripAdvisor and set up an alert to watch for the best fares. Consider Flying Into the Orlando or the Cape Canaveral Area Overnight. It is critical that you get to your cruise port on time. Cruise ships do not sit and wait, if your flight is delayed. Consequently, if you are planning on an inclusive cruise leaving from Orlando, I encourage you to fly in a day before your cruise so you will have ample time to get to your cruise ship on the day of departure. This is especially true if you fly into Orlando. Remember, the Orlando area is really about an hour's drive from the cruise terminals at Port Canaveral. So, if you fly into Orlando or even Melbourne, plan to find an affordable hotel where you can stay overnight. Try TripAdvisor to find a comparison of hotel prices offered. 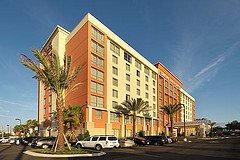 Click here to find Orlando hotels. Click here to find Cape Canaveral or Coco Beach hotels. Now, you are armed and ready to find inclusive cruises from Orlando (Port Canaveral). 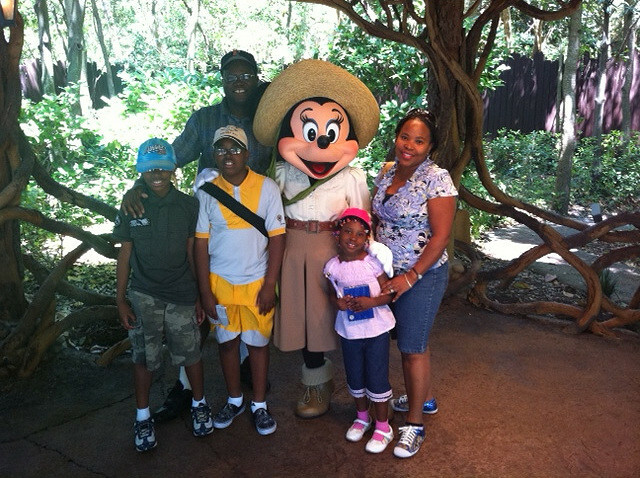 Whether you choose Carnival, Disney, Norwegian, or Royal Caribbean, your family will have a blast. 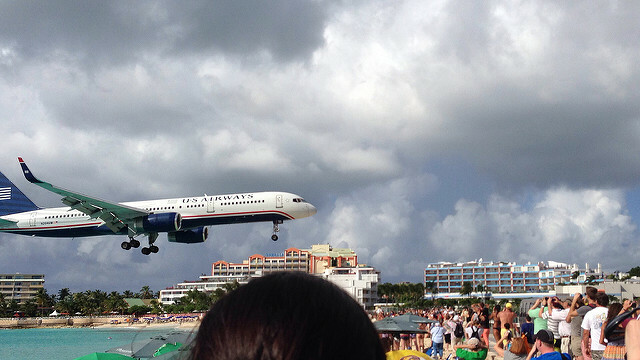 In terms of prices, however, you may want to look at Carnival Cruises first. Whatever you do, enjoy your family cruise ship vacation from Port Canaveral, and when you return, please share your experience with us.